This restaurant is on the San Francisco pier. 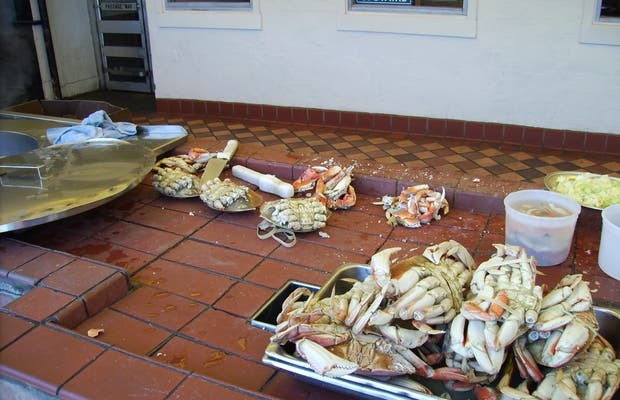 You can eat giant crabs straight from San Francisco Bay at a great price. We did not have much time, so I ordered a crab to take-away, and we ate it on the pier, watching the jealous seagulls. It was quite a fun experience and it comes highly recommended!